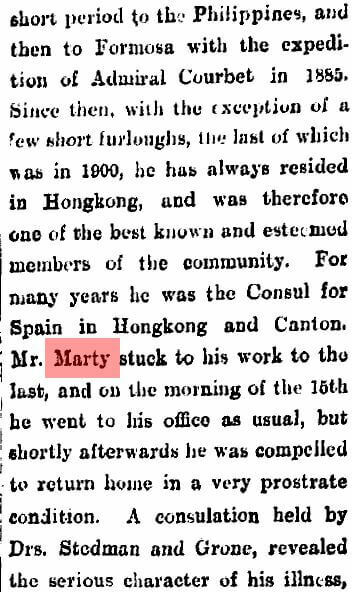 Stephen Davies: Auguste Pierre Marty, who died in HK in 1909, was resident here (and in his latter years Spanish Consul) from his arrival, aged 17, in 1871, to work for his brother Auguste Raphael Marty (who also lived in HK until he moved to Haiphong in 1906 where he died in 1914), who founded the company (A.R. 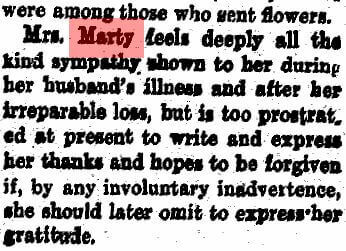 Marty & Co.) in 1874. 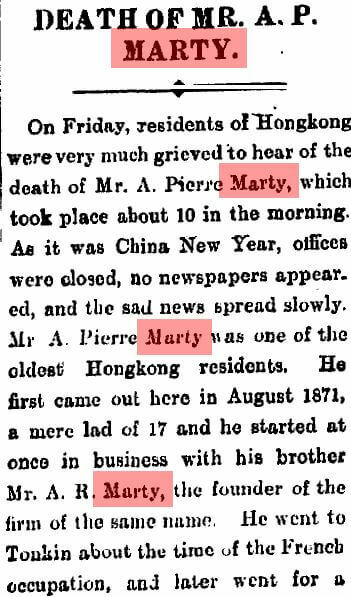 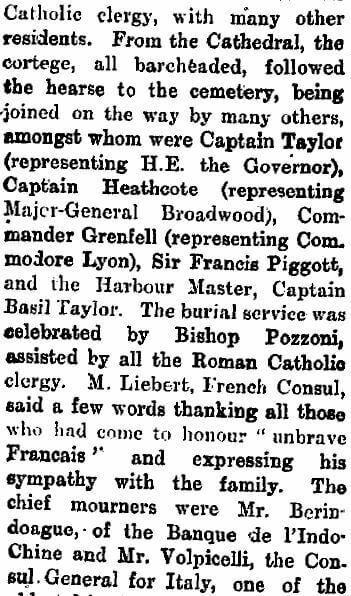 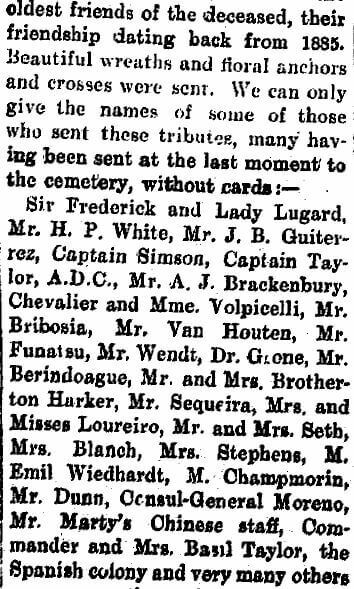 Auguste Pierre Marty’s obituary was published in the South China Morning Post on 25th January 1909. 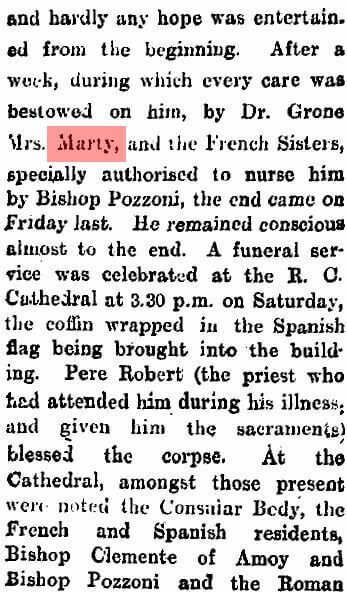 This article was first posted on 3rd June 2017.